Welcome to The Home Town Vintage Craft & Collectables Store. 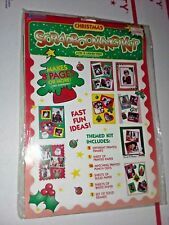 We carry and offer a variety of collectable items and specialized craft products. Small Bucket New Raw Unfinished Wood Craft 1-1/16" Made in USA! 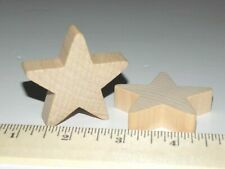 3 pc Set New Raw Unfinished Wood Craft Star Lot Made in USA! Flower Pot 2pc Lot 1-5/16" New Raw Unfinished Wood Craft Made in USA! 2" Primitive Star Lot of Two (2) New Raw Unfinished Wood Craft Made in USA! Two (2) White Snowflake Ornament 2-1/2" Wood Craft Lot Made in USA! THREE (3) 7/8" Button New Raw Unfinished Wood Craft Lot Made in USA! 6" Wooden Honey Dipper New Wood Lot One (1) Wood Craft PERFECT FOR USE! 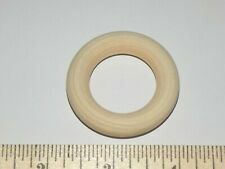 2 pc lot New Raw Unfinished Wood Craft 2-3/8" Solid Circle Made in USA! 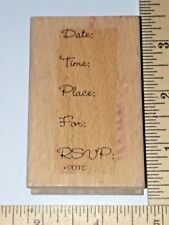 Memory Cube Block 1-1/2" New Raw Unfinished Wood Craft Made in USA! 5" Honey Dipper New Wood Lot One (1) Unfinished Wood Craft PERFECT For USE!! 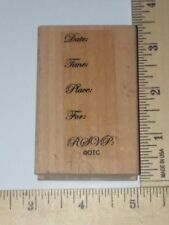 4" Honey Dipper New Wood Lot One (1) Unfinished Wood Craft PERFECT FOR USE!! Pack of 3 Leisuretyme Crafts Wood Beads Oval Bunt Wood Deep Color Large 1 -3/4"